Ariel Pink seems to be next in line for indie stardom. With a past in lo-fi, pitchfork approved music and a connection to Animal Collective, it's a recipe for being the next big thing on the indie scene. Not a newcomer, Ariel Pink has released a handful of albums (mostly on Animal Collective's Paw Tracks) in the past six years. 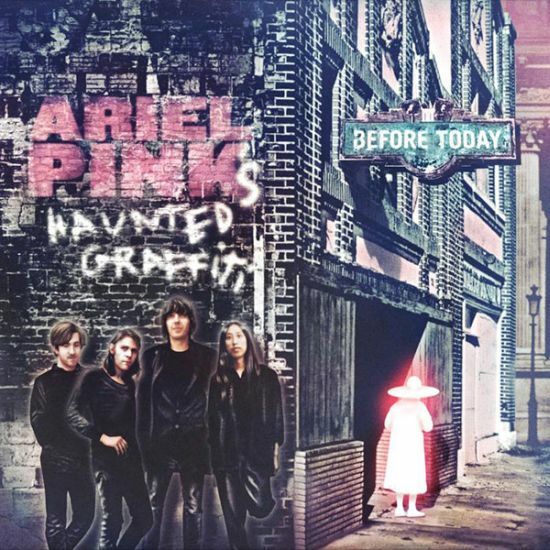 I can't speak to his past recorded output though as 2010's Before Today is my first exposure to Ariel Pink's Haunted Graffiti. The album is out officially tomorrow, June 8th. I heard the hype around the early release of the single 'Round and Round' and it quickly became one of my favorite songs of the year. I've listened to that song more than any other song that came out in 2010 and I'm still not tired of it. It's got every bit and piece that I enjoy about this album. The sleazy 70's disco vibe meets indie rock is heavy on the single and the whole album. There are a ton of other great songs on the album as well. 'Bright Lit Blue Skies', 'Fright Night (Nevermore)' and 'Beverly Kills' could fit nicely at your next roller skating party along with 'Round and Round'. There are a few serious missteps on this album that keep it from being one of the top 10 albums of 2010, but there is still plenty to love here. Following one of the worst songs on the album for example is the yacht-rock jam, 'Can't Hear My Eyes', which manages to erase the previous song from memory. This album definitely isn't for everyone...to be honest, it's pretty odd. It will most likely be an album that's cool to like, which in turn would usually make me hate it if it weren't so much fun. To confirm my comment about the album's weirdness, here's a video for the song 'L'estat (acc. to the widow's maid)' from the Before Today. The Kids Saving Kids Campaign and Becca Levy are still looking for a few good musicians in Kansas. If you want to help raise awareness of drunk driving prevention with your music, visit www.ksk.stopddnow.com. You must be the age of 18 or under and have an original recorded song.